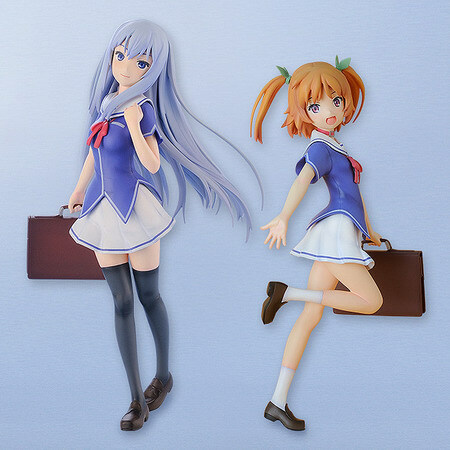 August 23rd, 2013 By: GGT Category: 2014/02 release, Figure News. 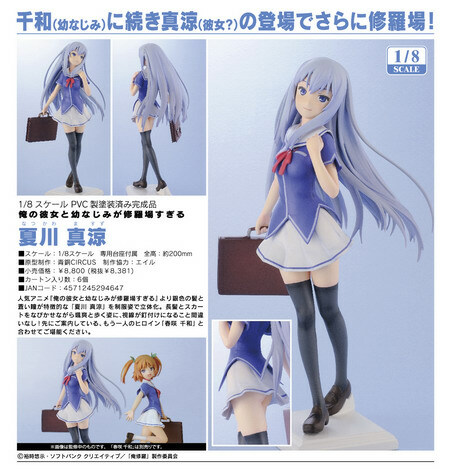 FREEing is going to release the Natsukawa Masuzu ( 夏川 真涼 ) 1/8 PVC figure from the light novel/manga/anime “Ore no Kanojo to Osananajimi ga Shuraba Sugiru” ( 俺の彼女と幼なじみが修羅場すぎる ). Will be released in February 2014. 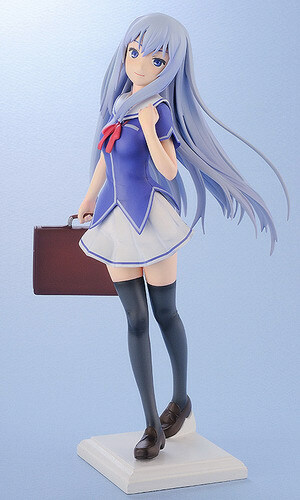 Around 200mm tall, 8,381 yen. Following on from (the childhood friend) Chiwa comes (the girlfriend?) Masuzu! 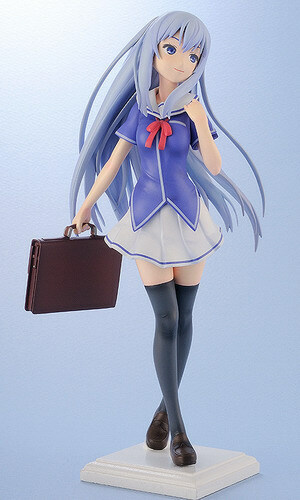 From the popular anime series ‘Ore no Kanojo to Osananajimi ga Shuraba Sugiru’ comes a figure of the ‘girlfriend’ with long silver hair and beautiful blue eyes, Masuzu Natsukawa! 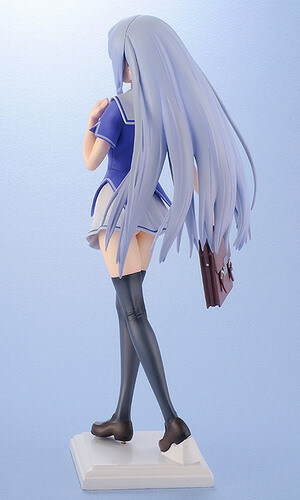 She is sculpted in a gentle walking pose with her long hair and skirt gently fluttering about around her as she stares directly into your eyes! 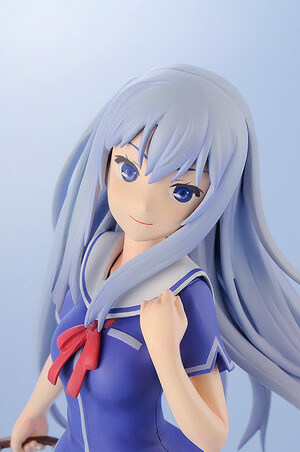 Be sure to display her with the previously announced Chiwa Harusaki!